Rescued from a life of servitude by the boy she loves, Susanna Marsh escapes across two centuries, only to be plunged into a world she’s ill-prepared to face. Unable to work or go to school, Susanna finds herself dependent on others to survive. Immersed in the fun and demands of his senior year of high school, Mark Lewis longs to share his world with the girl who’s captured his heart. But first he must tackle government bureaucracy to prove Susanna’s identity. Overwhelmed by her new home, Susanna seeks refuge in history and in news of the people she left behind. But when she learns that danger stalks her sister, Susanna must weigh whether to risk her own future in order to save Phoebe’s happiness. 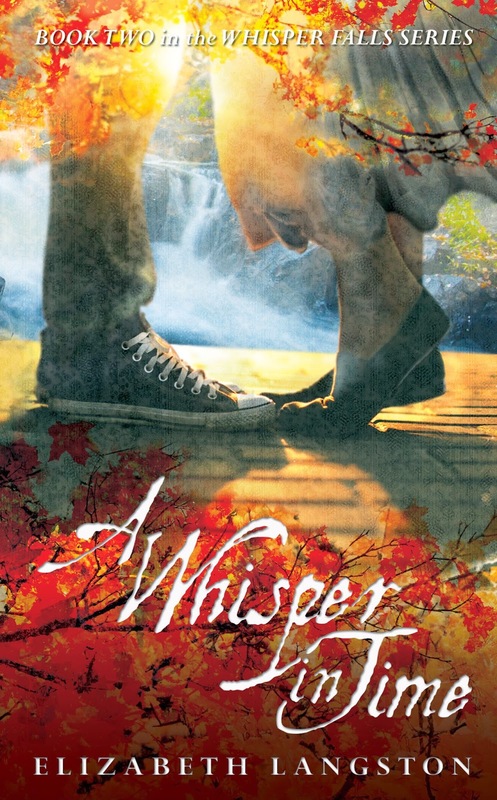 When I wrote Whisper Falls, I intended it to be a standalone book. Yet, after I wrote The End, I had a hard time letting my characters go. My teen daughter and I would often speculate how Mark and Susanna were doing, whether Phoebe liked her job, or how Dorcas turned out without Susanna’s calming presence. After I signed the contract for Whisper Falls, my agent and I decided to offer a sequel. When she called Spencer Hill Press, they suggested that I expand it into a trilogy. I was surprised. I had ideas for one sequel. But two? I agreed because getting to spend more time with Mark and Susanna was something that I wanted to do, but I worried that the middle book might be the hardest to write. I am the second of four kids, so I've been “the middle child.” Not the cool first one or the pampered last one. No, indeed. I completely understood how it felt to be the overlooked one in the middle. I was not going to let that happen with the Whisper Falls sequels. I plotted out book #3 next, because I needed to know how Mark and Susanna’s story finally ended. Once I understood their destination, I was ready for book #2. But it was still kind of scary. How was I going to bridge the gap between the action of book #1 and the heart-pounding conclusion that would be unveiled in #3—Whispers From the Past? The correct answer lay in the relationship between Susanna and Mark. What they experienced in Whisper Falls is a secret that can never be revealed. They’re bound in ways that can’t be understood by anyone else. At the age of 17, Mark has another person almost entirely dependent on him. Susanna, for the first time in her life, is not the hub of a family. Mark and Susanna love each other—but they have huge stresses to deal with. A Whisper In Time starts 5 weeks after Whisper Falls ends, during the fall semester of Mark’s senior year. Susanna tries to adjust to a crazy new home that makes no sense to her, while missing the people she left behind. Mark just wants to have fun, pick a college, go to ball games, and make good grades. But he can’t completely relax because Susanna needs him now more than ever. There are no cliff-hangers in any of the books. Instead, A Whisper In Time wraps up some loose threads left over from the first book—and leaves a few more to be solved in Whispers From the Past. Readers are going to love discovering how Mark and Susanna navigate the next stage in their relationship and how that impacts their lives forever. Elizabeth Langston lives in North Carolina, halfway between the beaches and the mountains. She has two teen-ish daughters and one husband (a geek like her). When she's not writing software or stories, Elizabeth loves to travel with her family, watch dance reality TV shows, and dream about which restaurant ought to get their business that night. Elizabeth's debut novel WHISPER FALLS released in November 2013. Its sequels, A WHISPER IN TIME and WHISPERS FROM THE PAST, release in 2014. 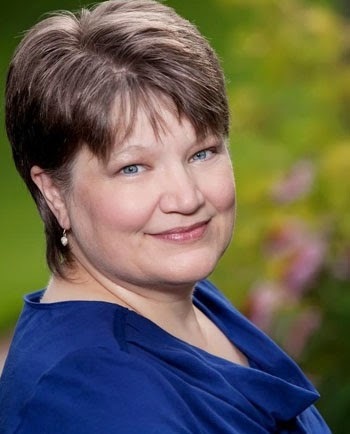 Learn more about her at http://www.elizabethLangston.net. We're offering a MEGA giveaway in honor of the release of the second book in the WHISPER FALLS series! Bloggers who participate in spreading the word about this giveaway (tweeting, posting on Facebook, etc...) will receive additional entries via the Rafflecopter widget. My favorite is the Revolutionary war. I love history!!! I like Regency England times. Thanks for this nice giveaway! I don't really have one favorite period. I love anything from stone age until the present and pretty much anywhere too. Getting the follow up story and another is great. Congrats on the book deal. I would say the civil war period. I love the 1920s. So much happened in the 20s that I think are really crucial to today's modern culture. I like the Medieval time period! Thanks for the chance to win! Probably the Victorian period or Roaring 20's! Thanks! I would have to the 50's would be my favorite great music and awesome cars. I love the Renaissance Era! So beautiful! I love the Renaissance Era with all the love and romance. Oh and the costume are beauiful.